The World Apparel Center (photo by Emporis). Possibly a bigger indictment of the City than Penn Station itself. I never really looked up at that box before. Note the arcade on the ground floor. Possibly the inspiration for the five massive arches on the façade of the Lincoln Center building? whole i enjoy digesting all the information and opinions on these fora, this thread deserves extra gratitude. thanks for the trip, fellow buffs! 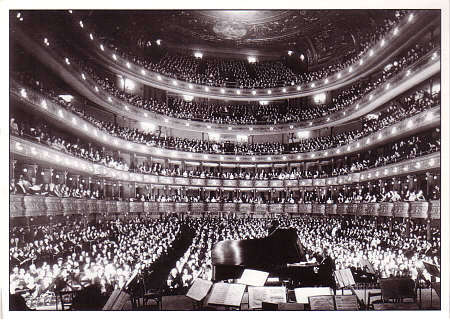 TLOZ: Lincoln Center was largely inspired by Rome's EUR neighborhood built in the 1930's during Mussolini's regime. 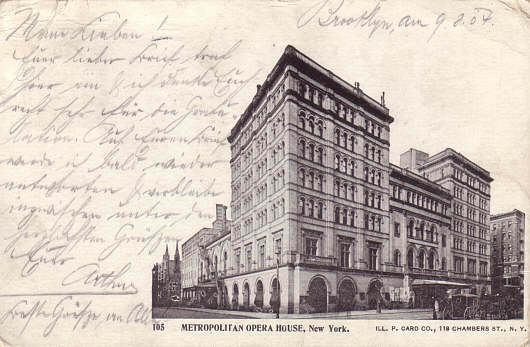 FIRST COUSINS The Van Corlear, left, built in 1879 on Seventh Avenue from 55th to 56th Streets, was a precursor of the Dakota, right, built five years later on Central Park West by the same team: the developer Edward Clark and the architect Henry J. Hardenbergh. THE Dakota apartment building, with its grandiose gables and courtyard, may seem like one of a kind in New York, but when the developer Edward Clark and the architect Henry J. Hardenbergh built it in 1884, they had already built a structure very close in scope five years earlier. A look at the genesis of this precursor building, the Van Corlear, offers a better understanding of the Dakota — because it so clearly benefited from lessons the two men learned the first time around. Rooms in the Van Corlear (in the floor plan) were strung along a doughnut shape, a design that was also used in the Dakota. 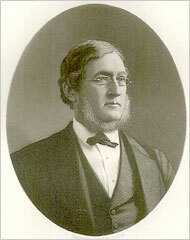 The architect Henry J. Hardenbergh. Mr. Clark, who made millions running the Singer Sewing Machine Company, had bought the land for his famous Dakota on New Year’s Eve 1877. 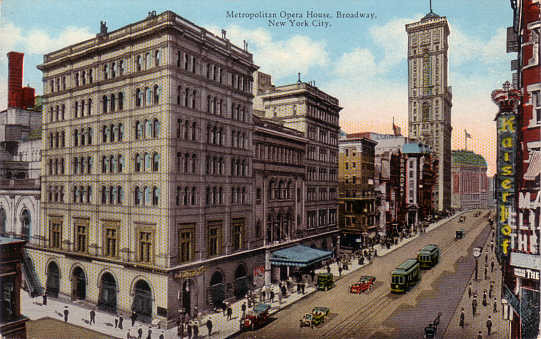 A week earlier, he had bought a similar full blockfront, on the west side of Seventh Avenue, from 55th to 56th Streets, for what became the Van Corlear, which survived until 1925 and was then replaced by a hotel. 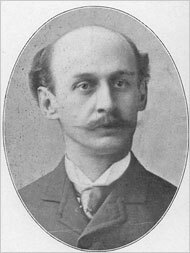 He and Mr. Hardenbergh filed plans for the Van Corlear (a Dutch name probably drawn from the early history of New York) in early 1878. It was to be a $300,000, 36-apartment “French flat,” as such structures were called. Later that year, The New York Times described this development as a “strictly foreign mode of living,” albeit one increasing in popularity with the middle and upper classes who found the typical row house inconvenient and wasteful. The design had six stories of fiery red brick, with Queen Anne and Renaissance detailing. It was ambitious in size but not remarkably different from other smaller, tentative efforts under way elsewhere. The building was divided internally in halves, north and south, and the architect brought the entrances back onto the side streets, leaving a Seventh Avenue front that he surely hoped would impress. But Montgomery Schuyler, in The Architectural Record in 1897, demurred, describing the style as “jerky and detonating” and adding that it looked militaristic. Indeed, what took place off-street was what remained striking about this structure. The apartments were planned with a skill and élan that other developers had trouble matching even decades later. At 2,000 to 2,500 square feet each, these two- and three-bedroom apartments mostly avoided the “long hall” that bedeviled later designers, and had fairly good separation of entertaining, sleeping and service functions. The courtyard permitted a compact arrangement, with a central circulation spine and good ventilation. The apartments were strung out along the doughnut shape of the Van Corlear, with exposures on the street and the courtyard. Mr. Hardenbergh tended to put the dining rooms on the courtyard and the parlors on the street front, so there was a variation of outlook in entertaining. Bedrooms had real spaces for clothes, unlike the near broom closets typical at the turn of the century. The servants’ rooms — and such households could not function without servants — were as good as any even in top buildings in the 1920s. There was only one real drawback, by modern standards: apartments generally had only one bathroom each. No interior photographs survive, but The Real Estate Record & Guide noted that most of the halls, vestibules and landings were laid with “beautiful Spanish mosaic floor tiles.” The existence of an intercom system is suggested by the journal’s specific reference to “the bell works” in the building. All the doors, sash and other woodwork was made at the Singer works in South Bend, Ind. 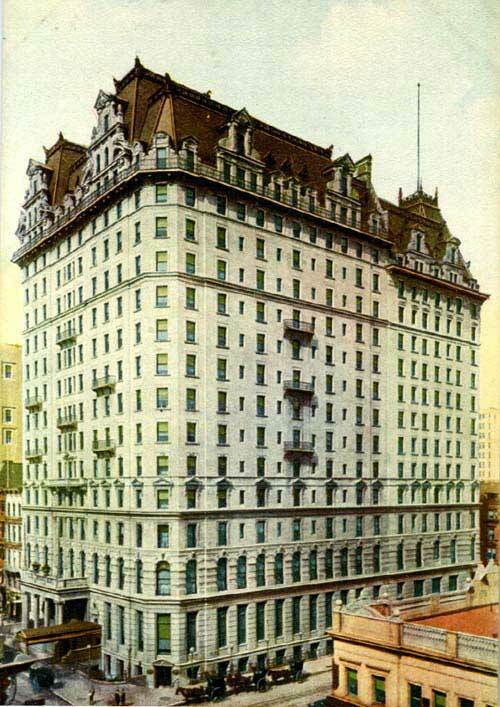 On the Dakota, begun in 1880, Mr. Hardenbergh and Mr. Clark spent $25,000 per unit, as opposed to about $8,000 at the Van Corlear. But they also made telling refinements: They chose light buff brick in the French Renaissance style — much more restful than the harsh red of the Van Corlear — and altered the front on Central Park West with three bays. Apartment layouts were modified to create more distinct zones. And at 10 stories, the new building was much more imposing than its cousin. The 56 Dakota apartments had no dearth of bathrooms; each had as many as four. Nor did they suffer with a defect peculiar to the Van Corlear, whose courtyard had been used as an entrance for clattering grocer’s wagons and ice deliverers. At the Dakota the courtyard was for residents only. Deliveries were made in a below-grade turnaround, just under the courtyard. In its assessment of the Van Corlear, The Record & Guide wrote that its creation had “given Mr. Clark a true insight into the actual requirements of our city.” And in view of the Dakota’s singularity in the New York landscape today, truer words were never written. The Seagram's Church Institute Building rose to a height of 74 metres 23 floors. It stands on the current site of 17 state street. It lived from 1969 to about 1985. This is a photo of Lower Manhattan from the late 70s or early 80s featuring this building (which is that red or possibly orange building at the bottom, which is shorter that those two black-coloured office buildings). This gem was razed to make way for Vornado's filthy, disgusting 330 Madison. What a crime. The pigs at Vornado should at least spring for a new facade for that horrific eyesore. While I share your disgust for the woeful vandalism of the majority of developers (not for nothing, they are a universally loathed species), I don't think that you wnat to generalize as you did above. 2. Many USians fight to protect such buildings; many more are merely pathetic and a minority os wreakign havoc. 3. One day, and it's not 50 yrs form now, people/isntitutions will be building Beaux Arts buildigns in quantity again. Mark my words. Shall we we delve into the very brutal murderous ways of the British Empire? the question would be 'where does this statement put him'? No-one must like part or all of the place they are from. I am no patriot. There are things about America that I truly dislike. Our foreign policy, for example, is reprehensible. Moreover, there are many countries that I find preferable. Germany, for one, comes to mind. More to the point of our forum, however, this country shows a disregard for the past. That the city permits pigs like Macklowe, Solow, Zuckerman, etc. to raze pieces of our history is sickening. It would not happen in Europe. Last edited by londonlawyer; February 2nd, 2008 at 05:00 PM.